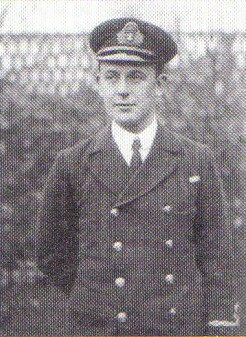 Lieutenant Frederick Stanley Gordon (Royal Air Force) achieves his first victory when he shares shooting down an enemy LVG C with George Gauld over Dickebusch. Sub Lieutenant Laurence Wortland Acton Blake (HMS Ariel) killed at age 19. He is the only son of Captain ‘Sir’ H Acton Blake KCMG KCVO Deputy Master of Trinity House. Major Noel Stafford Robinson (Royal Field Artillery) dies of wounds at age 35. He is the son-in-law of ‘Sir’ John and Lady Johnston of Londonderry, Ireland. Captain Austin Kirk Shenton (Royal Engineers) is killed at age 22. He is the son of the Reverend G D Shenton. Lieutenant George Leslie Drewry VC (Admiralty Trawler William Jackson Royal Naval Reserve) is accidentally killed at age 23 at Scapa Flow. He was awarded the Victoria Cross for his actions at Cape Helles in 1915. Corporal William Thomas Billing (Military Police Corps) dies of accidental injuries at age 39. He served 15 years in the Northamptonshire Constabulary.